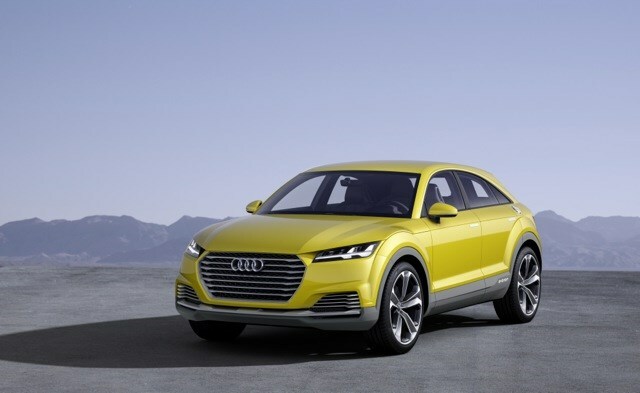 Audi is set to take on the Range Rover Evoque compact off-roader with the sleek style-centric Q4, which will share design cues with the popular TT Coupe. 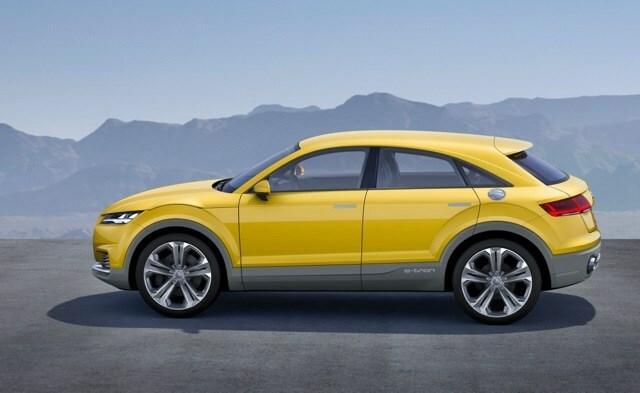 The new car will slot in between the Q3 – due for replacement itself in 2018 – and the new Q5, which arrives in April. 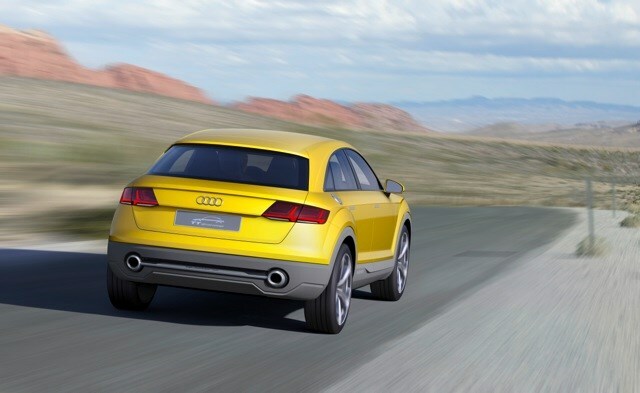 Launching in 2019, the new car is likely to sit between the £27,200-upwards Q3 and the £37,170-plus Q5 in price terms, too, implying a starting price of around £30,000 – and will take inspiration from the sleek TT off-road concept revealed in 2014. Under the bonnet you’re likely to be able to choose from a 1.5-litre turbocharged petrol engine and 2.0-litre petrol and diesels. There has also been the suggestion of an RS Q3 performance version, boasting Porsche-beating performance, thanks to a potent 2.5-litre turbocharged motor. Meanwhile, there’s a new model at the top of the Audi off-roader range, in the form of the luxurious, four-seater Q8 due in 2018. 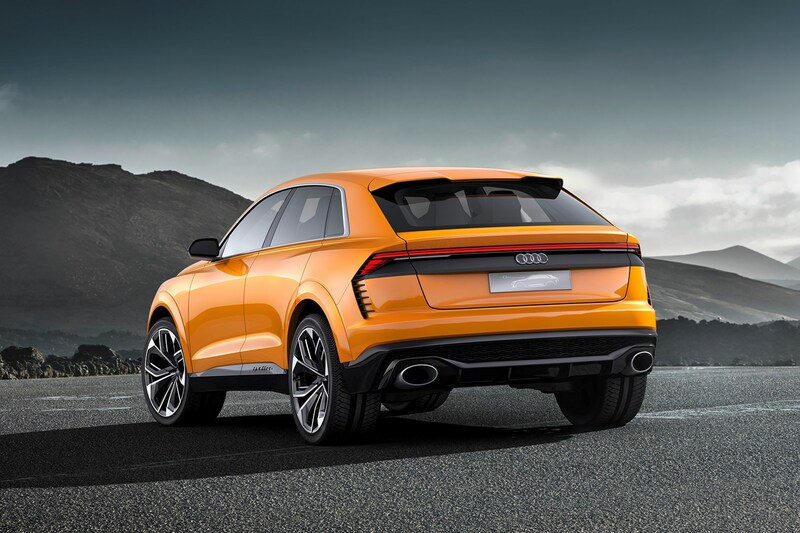 As with the Q4 this blends the 'elegance of a coupe with the functionality of an SUV', courtesy of its sleek silhouette and 'extremely sporty stance', according to Rupert Stadler, Chairman of Audi’s board of management. 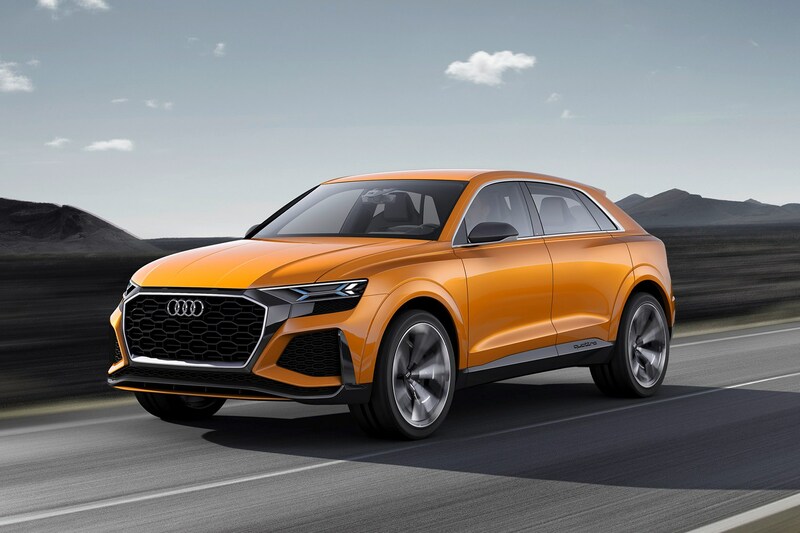 Audi has also hinted that this might feature hybrid petrol-electric power for maximum performance and economy, with the Q8 Sport Concept unveiled at last week’s Geneva motor show. This concept features a 3.0-litre turbocharged petrol engine and electric assistance for a rapid 4.7-second 0-62mph time and the prospect of what Audi calls 'forceful acceleration'. 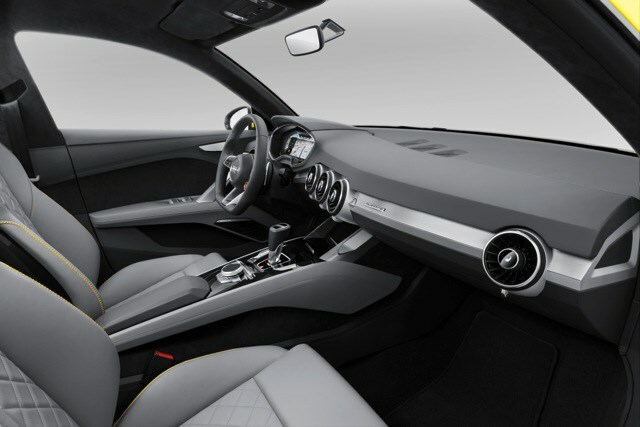 Though it measures in at around 5m long – too big for many UK parking spaces – the Q8 concept only has four seats, but should offer 'opulent spaciousness' for the lucky occupants. Despite the power on tap, the mild hybrid technology boosts claimed range per tank to 745 miles. A more attainable plug-in hybrid version of the smaller Q5 is likely to arrive soon, too, being built alongside petrol and diesel Q5s.